To learn more about Ford’s outlook for the commercial fleet market, Automotive Fleet interviewed Michele Bartlett, Ford’s general manager, Commercial & Government Fleet Sales, who was named to this position on Aug. 1, 2016. Bartlett joined Ford in 1989 and has held numerous Ford and Lincoln field sales and marketing positions. 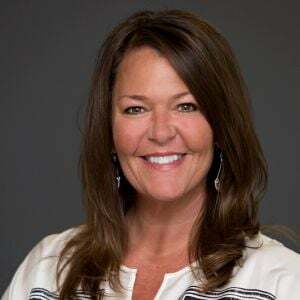 She held senior field leadership positions including General Manager, Central Market Area (Kansas City), and Dallas Regional Marketing Manager from 2005 to 2008. In 2009, Bartlett returned to Ford’s General Office and was appointed U.S. Ford & Lincoln Field Operations communication manager. 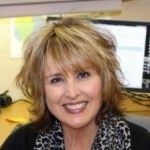 In 2012, she joined North American Fleet, Lease and Remarketing Operations as general marketing manager. And, in the following year, Bartlett was appointed Lincoln’s Field Operations & Client Experience manager. Most recently, Bartlett held the position of Ford SUV Group marketing manager. 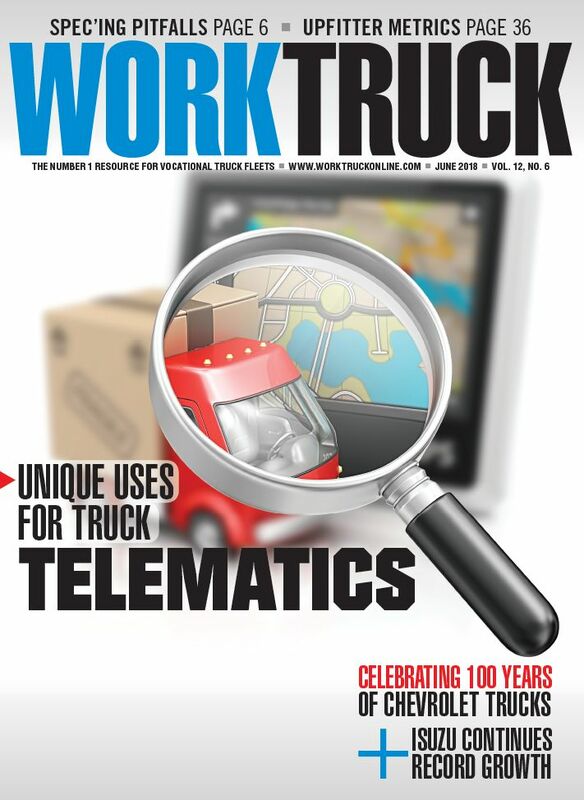 In a wide-ranging interview, Bartlett provided insight into her fleet strategy to grow commercial fleet sales, identified key trends influencing the medium-duty truck market, and discussed initiatives to address the needs of small to midsize fleet, along with a variety of other topics. AF: What is Ford’s outlook for the commercial fleet market for 2017 and beyond? Bartlett: Ford is coming off a strong 2016 calendar year of commercial fleet sales, and we remain confident and passionate about our commercial fleet business. Looking back at 2016, Ford was the No. 1 seller of commercial fleet vehicles in the country, based on registration data. With just more than 305,000 commercial fleet vehicles registered in 2016, Ford’s commercial vehicle sales experienced a 2% increase in 2016, compared to 2015. This compares favorably to an overall flat commercial fleet industry last year. From a market share perspective, Ford’s share of the commercial fleet industry was 32.4% in 2016. This is almost double our second-closest competitor’s share of 17.2% last year. And, you don’t just grow without strong investments in new products. For example, America’s best-selling commercial vehicle is Ford F-Series, with commercial fleet registrations totaling just more than 126,000 in 2016. 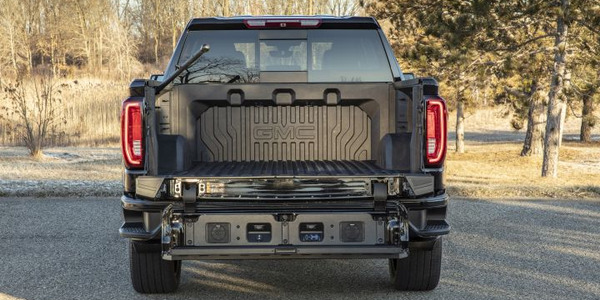 With the help of the all-new 2017 Ford Super Duty models, Ford F-Series saw an 8% increase over 2015, and represented 41% of Ford’s overall commercial vehicle sales last year. Ford also dominates in commercial vans, having America’s best-selling commercial van lineup, with just more than 74,000 vans registered in 2016. Ford vans represent approximately 24% of our commercial vehicle sales. Last, because of the breadth of our product offerings, Ford can also claim best-selling commercial fleet car with Fusion and best-selling commercial SUV with Escape. Combined, we registered more than 56,000 Fusion and Escape commercial fleet sales in 2016, representing more than 18% of our commercial vehicle registrations. AF: What is your strategy to grow commercial fleet sales for Ford’s North American Fleet, Lease and Remarketing Operations? Bartlett: Ford is committed to the commercial fleet market — it’s in our DNA. 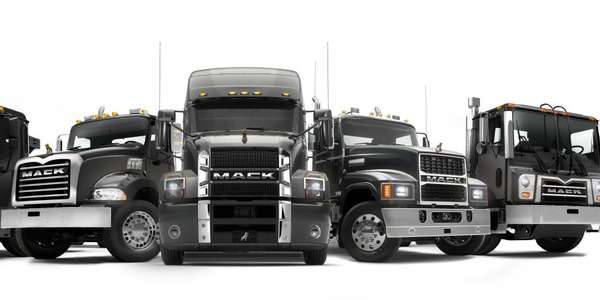 We’re the only automaker to offer a full line of commercial vehicles in Classes 1-7. This makes it easy for our customers to get vehicles for most segments of the industry from a single supplier, which streamlines their procurement, fleet management, and maintenance operations. It’s an important part of our strategy to keep these products fresh for our customers. Over the past five years, we have invested $12 billion in our U.S. manufacturing plants and created nearly 28,000 U.S. jobs to support new and updated products. We’ve introduced all-new F-150, Super Duty, medium-duty trucks, and a van — Transit. We continue to update these products to make them even more capable for our customers. We continue to expand our global capabilities to better support our multinational customers. Ford Motor Co.'s global fleet team coordinates product sales and service worldwide to provide international fleets with efficiencies through consolidation and standardization for improved total cost of vehicle ownership in all of those markets. Ford pays close attention to customer input as well, as the voice of our customer is extremely important. We regularly gather feedback from our customer advisory boards in fleet, police, medium-duty and global market segments to ensure we’re aware of customer needs as we work to continuously improve our products. AF: What do you see as the top trends influencing the medium-duty truck market, and how is Ford addressing these issues? Bartlett: The regulatory environment is impacting equipment choices in the medium-duty truck market. We’re seeing commercial customers increasingly choosing gas over diesel as fleet duty cycles lend themselves more to a gasoline engine. 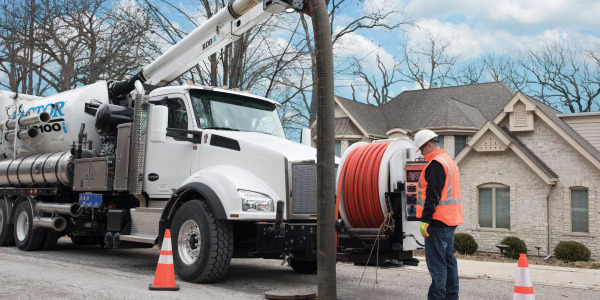 Buying a gas-powered F-650 or F-750 eliminates the upfront cost of diesel emissions equipment and the need to maintain it, resulting in lower total cost of ownership. 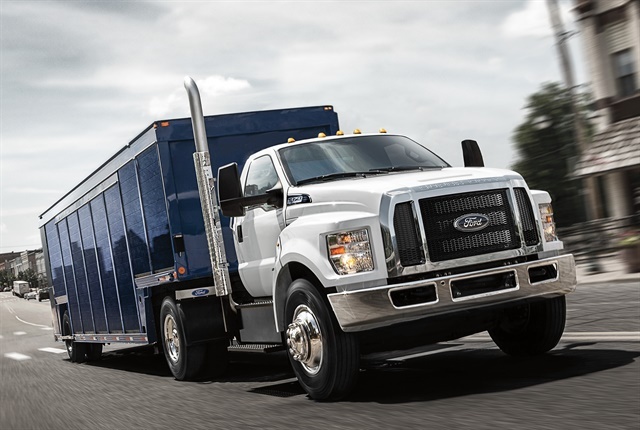 Ford is the only truck manufacturer to offer a gasoline-powered engine in the medium-duty truck segment. Our 6.8L V-10 with 320 hp and 460 lb.-ft. of torque is available for both F-650 and F-750 trucks with the heavy-duty, Ford-built TorqShift HD 6-speed automatic transmission. The 6.8L can be factory-prepped for converting to compressed natural gas or liquid propane gas as cost-effective alternatives to gasoline. 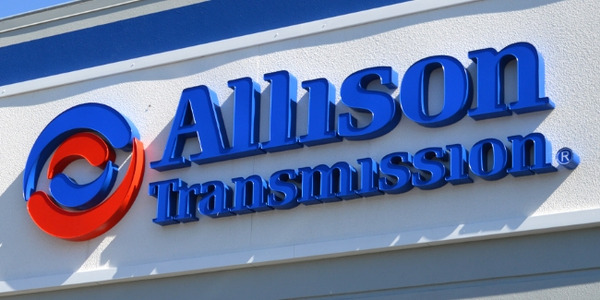 For those customers who need a diesel, we’re the only medium-duty OEM to design and build our own diesel engine and transmission combination. Ford’s F-650 and F-750 vocational trucks received Work Truck magazine’s 2017 Medium-Duty Truck of the Year award for the second consecutive year at the Work Truck Show. Photo courtesy of Ford. This ensures the powertrain will work seamlessly with all chassis components and vehicle calibrations. And, it provides our customers with streamlined service — all parts and service come directly from their Ford dealer. 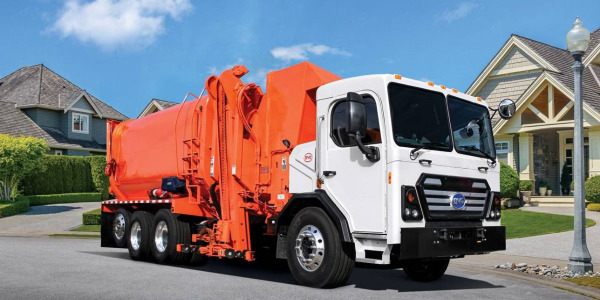 What also resonates with our customers is that our medium-duty trucks are built in the United States, just like our F-150, Super Duty, Transit, and E-Series chassis. As part of our launch of the all-new F-650 and F-750 in 2015, we moved production of our medium-duty truck line from Mexico to Avon Lake, Ohio. We’re also seeing a lot of fleets taking a fresh look at their truck specs in this business environment. Many recognize the business landscape is changing, and what worked well 10 to 20 years ago may not still be the best choice. Our introduction of a gasoline-powered medium-duty truck, a new dedicated tractor model for heavy towing applications, and a diesel powertrain that’s up to 45% quieter than the outgoing model have inspired fleet managers to reevaluate their needs — not just for their current business, but down the road as well. AF: What is the future of vehicle electrification and the use of alternative fuels in the commercial fleet market? Bartlett: As part of Ford’s expansion to be an auto and a mobility company — including leading in electrified and autonomous vehicles, and providing new mobility solutions — the company detailed plans in January for seven of 13 new global electrified vehicles for introduction in the next five years. These include hybrid versions of the iconic F-150 and Mustang in the United States, a plug-in hybrid Transit Custom van in Europe, and a fully electric SUV with expected range of at least 300 miles for customers globally. The moves are part of a $4.5 billion investment in electrified vehicles by 2020, offering customers greater fuel efficiency, capability and power across our global vehicle lineup. Additionally, Ford’s commercial vehicle team is dedicated to helping our fleet customers and commercial vehicle upfitters who are committed to electrification. Through the Ford Electrified Qualified Vehicle Modifier (eQVM) program we launched at The Work Truck Show 2017 last month, our fleet customers have access to electrification and hybrid solutions from upfitters who are qualified by Ford. Our eQVM qualification process helps ensure our customers get a durable and reliable product. AF: What are Ford’s strengths in the commercial fleet market? What areas are you looking to enhance? Bartlett: As the only automaker offering vehicles in Classes 1-7, we can provide our customers with an unmatched lineup of products for virtually any application. We revolutionized the truck industry when we moved to aluminum for F-150, giving our pickup truck customers greater payload, fuel economy and capability. We’ve since expanded those benefits to Super Duty and the 2018 Expedition. We’re the global van leader — the Ford Transit family is the best-selling lineup of vans on the planet. 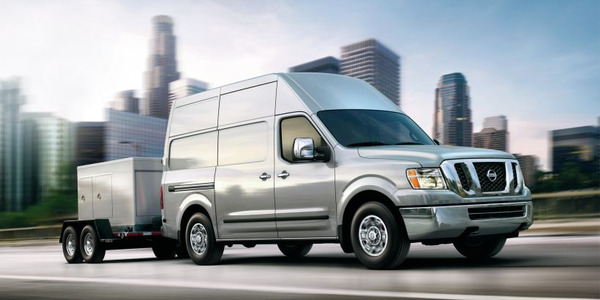 We can offer our customers a van for any application — from the compact Transit Connect commercial van or passenger wagon up through the full-size Transit cargo van and passenger wagon. 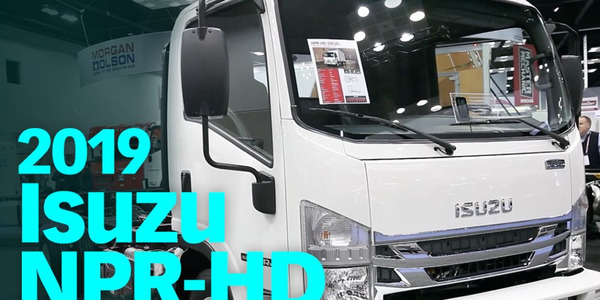 Plus, for those customers who need a heavy-duty chassis, we continue to offer the proven E-Series chassis cab and cutaway. We’ve invested more than any other OEM in our commercial vehicle lineup and are continually improving existing products, while introducing new products to help our customers get their jobs done every day. We’ve already announced our new 2018 F-150 (including a much-requested Power Stroke diesel version), plus all-new Expedition and EcoSport SUVs. 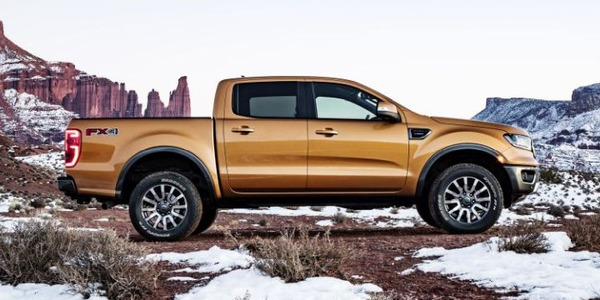 We’ve also announced we’re bringing back the Ranger pickup in 2019 followed by the Bronco SUV in 2020. And, of course, our true strength is our people. 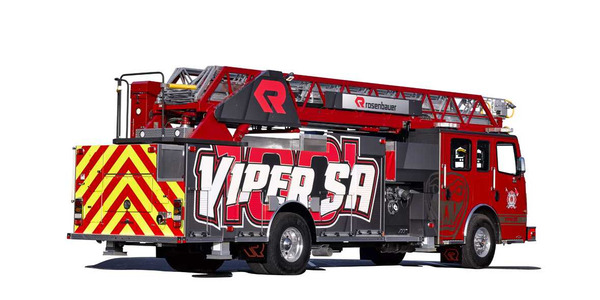 We pride ourselves on our fleet team and the support it provides to our customers. We continue to invest in our people resources. Bartlett: One initiative we’re very excited about is our new Commercial Vehicle Center program. Most of our fleet and commercial customers are within 30 miles of a Commercial Vehicle Center dealer that can provide them with superior sales, service, and financing. Our more than 650 Commercial Vehicle Center dealers nationwide have the best selection of commercial vehicles in stock, and offer a range of financing offers and incentives. All of their employees have gone through extensive Ford training so they can provide knowledgeable, trustworthy support. Commercial Vehicle Center dealers help our fleet customers keep their vehicles on the road, with service departments that are open at least 55 hours per week and new stocking programs to improve parts availability and further reduce vehicle downtime. Especially for small fleets, having a truck or van down for an extended period can have a big impact on a company’s bottom line. AF: Safety is a top concern for commercial fleet managers. How are you seeing this manifested in the types of Ford products commercial fleets are ordering? Bartlett: Safety continues to be one of the highest priorities in the design of our vehicles. Ford is committed to understanding our fleet customers — incorporating new and existing features they want into our vehicles wherever possible. Bartlett: Our Commercial Vehicle Center dealers use proprietary diagnostic software, Commercial Vehicle Tools, to recommend the most appropriate vehicle specifications for a fleet’s business based on its unique requirements including payload, cargo space and upfits. 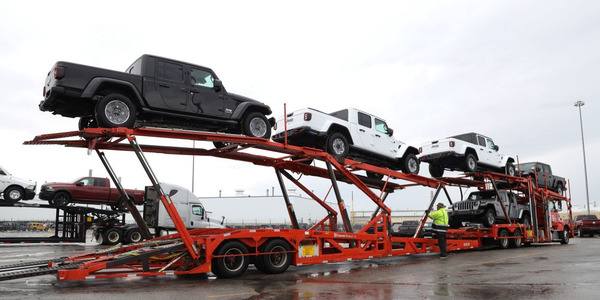 Recognizing fleet managers are extremely pressed for time, our Commercial Vehicle Center dealers can even offer vehicle demos and test drives at our customers’ places of business, minimizing out-of-office time. 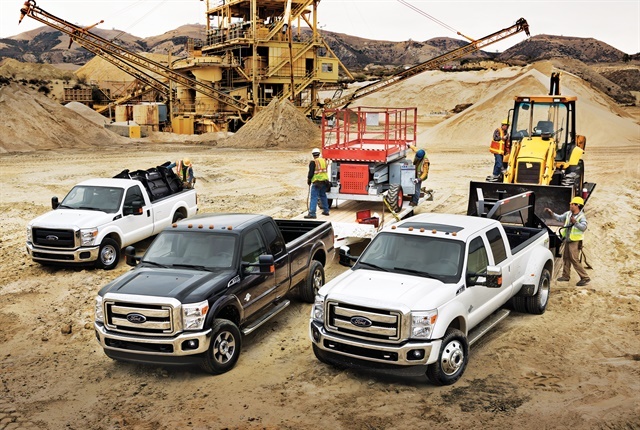 Ford Commercial Lending provides a wide range of finance and leasing solutions, as well as unique fleet vehicle finance options customized for a fleet’s specific needs. Ford Fleet Care provides a convenient monthly consolidated bill for a fleet’s service and wholesale parts invoices. Consolidated billing is available for both Ford and non-Ford vehicles and trailers at participating Ford and Lincoln dealers. Ford Protect mitigates risk in commercial vehicle ownership by minimizing a variety of unexpected repair costs — everything from the engine to the electrical system. A redesigned FordParts.com website to provide 24-hour access to parts through a desktop, tablet or mobile device is also coming soon. The new website will serve as a single location to order Motorcraft and Ford Parts, plus Ford Accessories. Customers can upload multiple VINs and save them for future orders, while multiple buyers can order parts through a single fleet account. AF: What is Ford’s vision of the future of mobility in the commercial fleet market? How will this vision manifest itself in commercial fleet applications? Bartlett: As we learn more about autonomous vehicles and mobility, part of our job is working with our fleet customers to review available technology, and determine what we can offer that will help them do their jobs better.